They took the A train to Far Rockaway, then a bus to Hempstead to watch a Jets training camp practice at Hofstra, and all was well. There were plenty of stars on a team that would finish 10-6, and they reveled in getting close to them. Then practice ended, and they learned the last bus back to Queens had left. So they started walking, and walking, all the way back across the Nassau-Queens border to catch a city bus back home. That was in 1986. A third of a century later, Galloway owns a new arena football team called the New York Streets, and part of his mission is bringing affordable pro football to youngsters like him and his teammates – this time allowing them to see actual games. Galloway, who founded a private investment firm, also takes pride in being a rare African-American team owner and hopes to show young athletes – and non-athletes – that there are paths to ongoing involvement in sports through front offices. 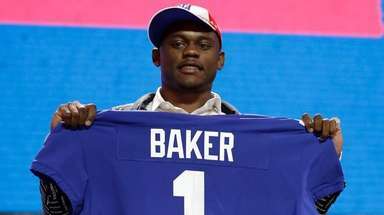 His director of player personnel, Devale Ellis, made the same point in discussing his rise from a receiver at Hofstra – where he was a teammate of future Saints star Marques Colston – and making the Lions roster as an undrafted free agent. 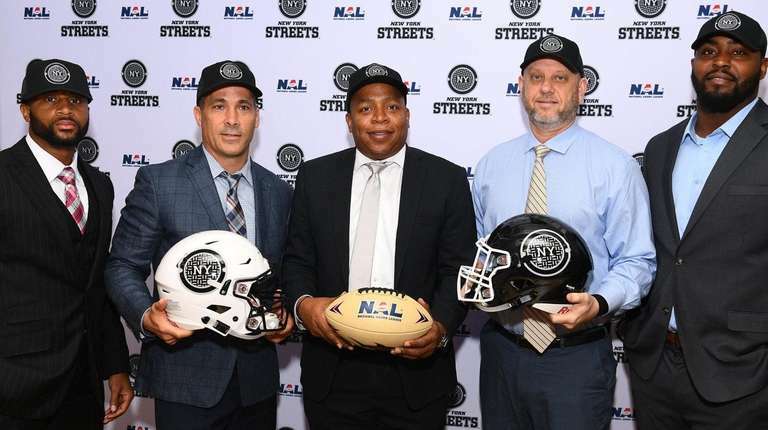 The Streets will be a member of the National Arena League, one of several leagues in the fractured world of arena football, and will play the majority of their home games at Westchester County Arena and practice in Brooklyn. There are plans, not yet finalized, to play one or two games a year at Madison Square Garden. Galloway said there were discussions about locating the team at NYCB Live’s Nassau Coliseum, where the New York Dragons played arena league games from 2001 to 2008. The NAL, which began play in 2017, has seven teams along the East Coast, from Jacksonville, Florida, to Portland, Maine. It plays from April to August, a couple of months later than two new outdoor leagues coming in 2019 (Alliance of American Football) and 2020 (XFL). 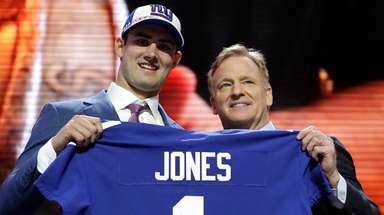 It all is part of an effort to take advantage of the national appetite for football in the months when the NFL is not in action. The leagues clearly will compete for players. 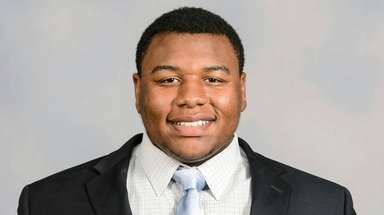 (The Streets announced David Legree, who played at Syracuse and Hampton, would be their quarterback.) They also presumably will compete for fans, sponsors and media deals. Galloway said the team is working on a local media partnership to gets its games in front of potential new fans. He said he was heartened by how many fans the Dragons used to draw at the Coliseum.